This handy helper is created just for teachers. 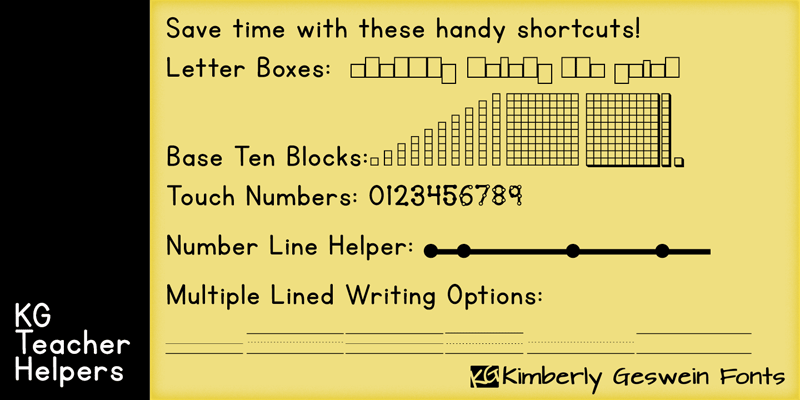 Use the letter boxes, number line helper, base ten blocks, multiple lined writing options, and touch numbers to help you create printables for your classroom. Your download will include a handy guide to help you understand how to use this font most effectively.